The intention is obvious. 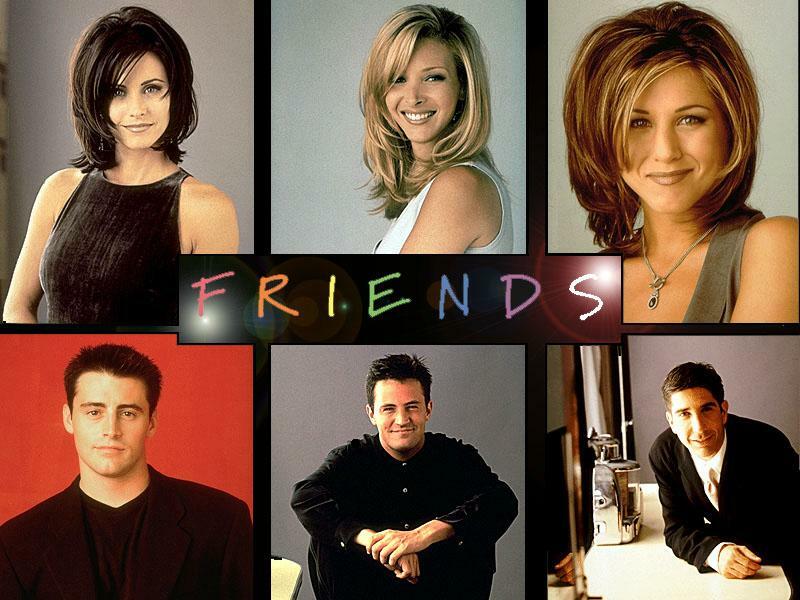 ever since i finished watching the entire series of FRIENDS , there has been this constant tug at the back of my heart. all though pretty confident that i would never in my life be able to bring life to the myriad of emotions i found myself savouring in each single episode , all i wanted to do was to sit down and scribble a piece of my heart addicted to the series. as silly it might seem for many, that much weighs the strength which holds me close to the characters – each and every one. and without a tad of doubt, i can put it affirmatively that the hearts out there who happened to witness the life of the 6 friends would agree to what i say . .
A series review is far in my thoughts . rather the perfect way to sketch a soveneiger would be to state outright what i feel about the characters. . so here goes . .
Joey tribiani , the drake ramorae who won many a hearts with his ever green tv show days of our lives , or was it the days of our lives ? 😉 , sure was the sweetest part of the series. i am sure to lose count if i were to list out the many times he sent me laughing mu heart out with his ‘ oh so stupid am i ‘ , oh so brilliant am i ‘ gestures. his tryst with rachel , his stints to make it big in the silver screen , his dedicated friendship with chandelier , his possessiveness for HUGSY . . should agree your never once failed to bring a smile on my face ! Phoebe buffay , the weirdest beauty around ! passionate about spirituality, astrology , and her USP – her music . .phew ! she was quite the eye popper ! will you ever listen to a song to find yourself laughing out even louder than the music itself ?? get yourself a copy of Smelly cat and the likes by the awesome musician at heart she is 😉 and if you thought weird people never make it big when it comes to love life. . well phoebe ultamately finds her perdect partner in Mike . . ( isnt he the cutest ! ) . phoebe , you sure granted that catchy edge to the show . .
Chandlier bing- yes that would top the list of the queerest family names ! lol ! if you thought that would be it , you are in for a surprise ! belonging to a dad who was a transgender ( isnt so ?) there are more reasons than one which lends a hilarious shade to the character he is. with a lovable face and his ever ready to shoot sarcastic comments , this commitment fearing fellow stole many a hearts with his readiness to ask for monica’s hand. and oh the things you said to Erica as a pleading to coax her into letting them adopt her baby – a passionate husband at his best ! . 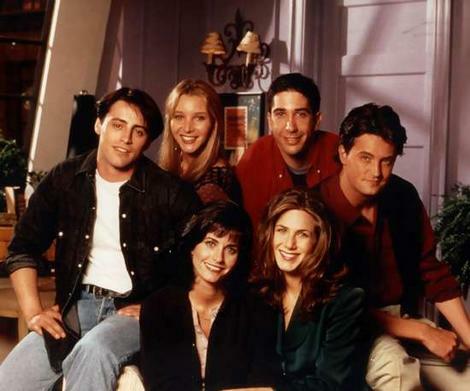 though a series about friends, friendship is depicted at its deepest facetts in the relation beyween chandlier and joey. with monica and chandlier keeping apart a koey room in their new home , the relation is ultimate ! Ah ! the stunner of the show ! the flirtaceous , immature , ever rasiant ‘ bride should have been ‘ who sent Gunther head over heels with her entry into central perk one fine day . almost the cynosure of the show , this spoilt girl who desperately wanted to transform from a shoe to a purse or a hat, gav eus smany a reason to be glued onto the screen. should say the character deserves an applause for proving it to the audience that the beat of the heart goes a long way rather than the loudness of the mind. – right from running off from her wedding to berry to raising emma as a single mother to flyng back to ross once he proposed to her ( atlast ! ) in the last episode, Rachel green shines her best throughout the journey . aAs i mentioned before, words dampen the emotion to some extent and i can, infact any die hard fan of this series can go on forever quoting their statements ! nevertheless, i should highlight the most important theme conveyed across to the viewere – HONESTY . never does we see them carrying out a lie for long. sometime or the other , the truth is made explicit by someone or the other. this piece of article will stay with me and whwnever i need to hark back on this period of my life which found me going gaga over rachel, monica, phoebe , chandlier , ross and joey , i can at the touch of my fingers . yeah i might have more impotant matters to dwelve in the very next second i am done with jotting down this, but then i had the best of times reminiscing about the good moments i had with the series . Guess its the same with you guys . . Previous postTouch of love . .
Next postThose Familiar Shades . . Thanks and I loved reading it as I'm a big big fan of friends,I have watched the re-runs so many times that I know all the dialogs..
Me too a huge fan of FRIENDS…… Though, i love Phoebe… but Chandler was my fav character ….. I finished watching the series abt 2008 but still watching it….. i got the DVD's of all the seasons…… and like to watch them whenever i'm feeling low……….. I don't know who you are.I was just looking for a decent FRIENDS image on google that the search result displayed an image from your blog. I'll soon finish watching the entire FRIENDS series myself. And I understand how involved the FRIENDS series can make you. It is a one rare series which promises to make you laugh even on your low days. I usually don't leave a comment randomly. But I like how you have decorated your blog :). OMG THANK GOD FOR YOU!!!!! people are telling me that friends is old news history and will never be remembered but it will because friends is a classic watched them so many times I know all of phoebe's songs all of joey's how you doings all of chandlers can this BE any more late Rachel's WE WERE ON A BREAK!! Ross over pronouncing every word Monica'S cleaning habit and all the rest they should all get knighthoods for that rom-com and the most important thing of all……. EEEEWWWW UGLY NAKED GUY IS TAKING HIS TURKEY OUT OF THE OVEN OMG HE IS NOT ALONE UGLY NAKED GUY IS HAVING THANKSGIVING WITH UGLY NAKED GAL!!!! Joey's.. Howww u dooinn?? 😛 was something that stuck with me for long :D..
Love it as much!!! I become a teenager when watching this series. Has been my favorite for decades now.. Love Phoebe and Joey the most.. But then as you rightly said, each and every one of them is special!!! this series became a part of my life…ive been watching it now for last 5 years…no no it dint took me so much time to complete it….infact i kept seeing it again and again to not to miss any of them…. i cant express myself here but whenever i re-watch this program it makes me nostalgic for being an important part of my life…. WOW!! I loved this Post completely!! 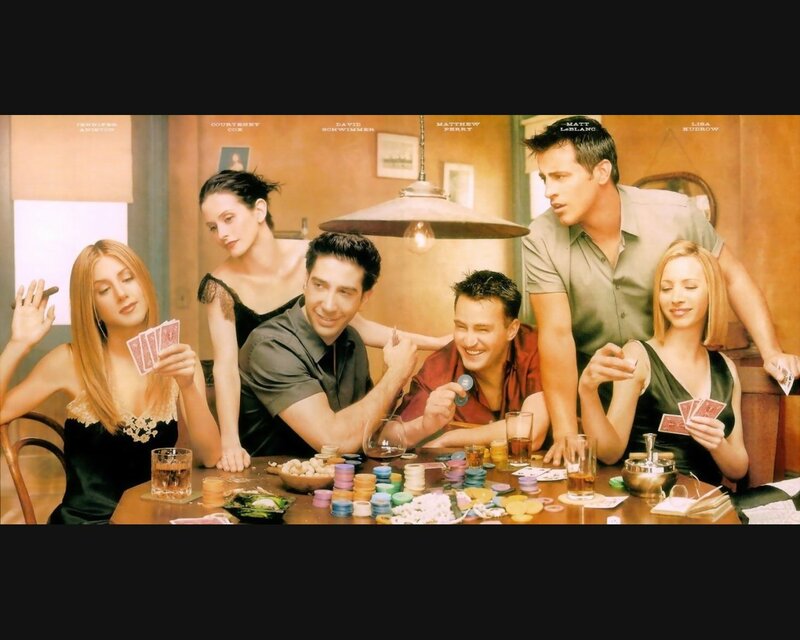 Being another Fan of F.R.I.E.N.D.S I completley agree with u and all others that it was a wonderful series which I watch and re-watch and especially makes me feel great when I am down.. Loved the description of each of them.. Kuddos to you for the post. This has given me an inspiration to write a blog on F.R.I.E.N.D.S one day!!! Possibly my favorite TV show ever. When my daughter is home from college I love to watch Friends reruns with her. My all time favorite episode is Ross and the leather pants and close close second is the marriage proposal of Chandler and Monica. Still makes me tear up!